This is part two of our Amazon blogposts which deals with how exactly we autoscale our infrastructure and what our plans are for the future. You should read Part 1 as well as it lays out why we went with EC2 in more detail. This took a little longer than anticipated, sorry for that, but we were extremely busy over the last weeks to get our technology as well as our business to the next level and have some great news to announce in December. Every company, and especially every startup, has to focus solely on creating value for a customer. This is and always has been the guiding principle for the success of a company. The limiting factor for all businesses in talking to their customers, developing new features and giving great and fast support is time. The more you have of it, the more you can use it to create value. The goal is to create as much value over the time your users engage with your product as possible. 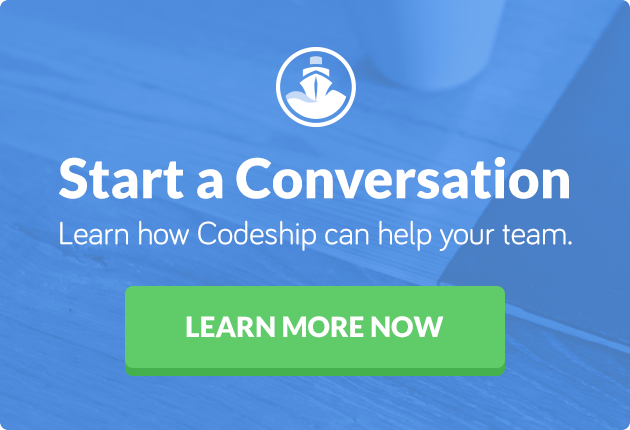 We started Codeship to build a product that helps people focusing on their product and customers, not on keeping the infrastructure up. 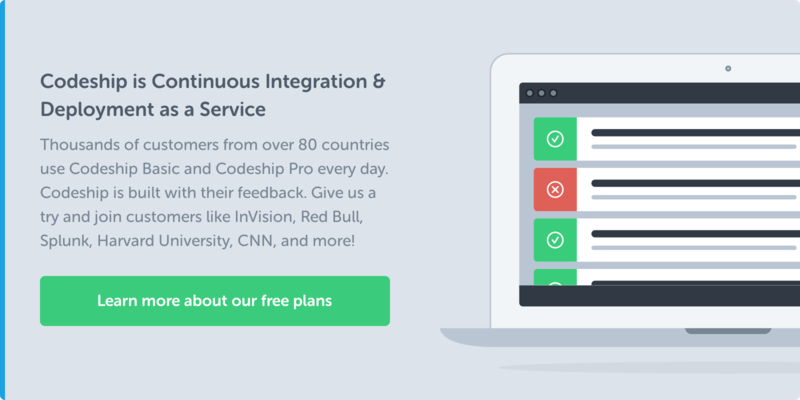 By managing all of our backend infrastructure automatically and at the same time providing safeguards and checks to make sure our servers work as expected we can focus on delivering value, not on managing infrastructure. And of course auto-scaling not only helps us to develop much faster, but also to provide a better and at the same time cheaper service to our customers as we really only use what we need. As explained in our last post where we talked about how and why we switched to Amazon EC2 EC2 helps us a lot in building and maintaining such an infrastructure. They provide a wide range of technologies we can build upon and access through their API. Even though cloud infrastructure seems to be more expensive in the short term the added speed and agility easily compensate for the higher expenses. Furthermore by auto-scaling and using Reserved Instances you can lower the costs dramatically. Not to forget we simply do not have to hire any server admin. We can focus all of our engineering power on building the tools as there are no maintenance tasks to be performed. At Codeship we have implemented a Scaling class that has one scale method and compares our queues with our currently running EC2 workers and then decides to start or shut down our instances. By providing only one externally available method that only takes where it was called from as a parameter we make sure that the right decision is made every time regardless of the caller. For example there may be a situation where a new build is created, but we have lots of spare resources, so the right decision is to shut some of them down. By letting our scaling infrastructure scale down even when a new build is created we always make sure that the appropriate number of resources is available. You can see a simplified version of our logic to scale up/down our servers in the next gist. So when there are more idle workers than open jobs we scale down. When all test servers are working, there are open jobs and the number of instances that are currently starting (instances_count – workers.count gives the number of EC2 instances starting up, but not connected to the queue) is less than the number of open jobs we start a new server. There are 3 separate occasions where we start our Scaling infrastructure. We have experienced that it is important to have a regularly running process that makes sure that the infrastructure is scaled to where it needs to be. We solve that by having a Heroku worker started through their scheduling addon every ten minutes. Auto-scaling without proper logging and record keeping is like driving blindfolded. Especially if you detect problems and have no idea how to debug them. We heavily use Google Docs to keep track of metrics in our application and our server infrastructure is no exception there. We have implemented our own GSMetrics gem to help us with pushing data into Google Docs. Works really well and makes collecting and analysing our data very easy. Whenever a server is started or stopped we write the according data to a spreadsheet so we can then analyze if all servers are properly accounted for, how long they were running and so on. Additionally we have implemented several automated tasks that regularly check and compare the number of workers registered with our queue as well as the number of test servers to make sure all of them are running fine. We are currently working on the next iteration of our service which will see some changes to our auto-scaling infrastructure. We are moving to stronger EC2 instances to give us better speeds. This will decrease the number of workers running, as each worker can run several builds at the same time. The basics of our auto-scaling effort will still be in place though and guarantee an infrastructure that scales to any size without us having to worry about it getting more complex.